After installing carpet for 30 years and being very well respected for his craftsmanship and integrity, Jack Everett was ready for a change (and so were his knees). In 1992, Jack originally opened up Budget Carpet Outlet in the space that now houses Gainesville Paint. Reaching out to all the various carpet manufacturers for a line of credit, Mohawk Industries took a risk on Jack and extended him a line of credit that allowed him to stock his warehouse and start his business in full. A loyal businessman, we still partner with Mohawk as a Mohawk Floorscapes dealer in NE Georgia. Jack Everett is an expert in carpet. He spent over 30 years installing carpet, learning the trade, and ultimately running a successful business that is known for craftsmanship and integrity. Meanwhile, forty minutes away, in Athens, Georgia, Jack’s son, Jason, was attending the University of Georgia. Earning extra money rolling carpet as a kid, Jason literally grew up in the carpet business. Jason was not planning on getting into the carpet business when he graduated. In fact, he was interviewing for outside sales positions when Jack offered Jason an opportunity that he knew was too good to pass up…to be his dad’s business partner. So after graduation in 1995, Jason joined his father. During the past 22 years that Jason has been working with his dad, the business has grown from a warehouse full of carpet to almost a city block of retail space. Now offering installation in hardwood, tile, carpet, laminate and vinyl. 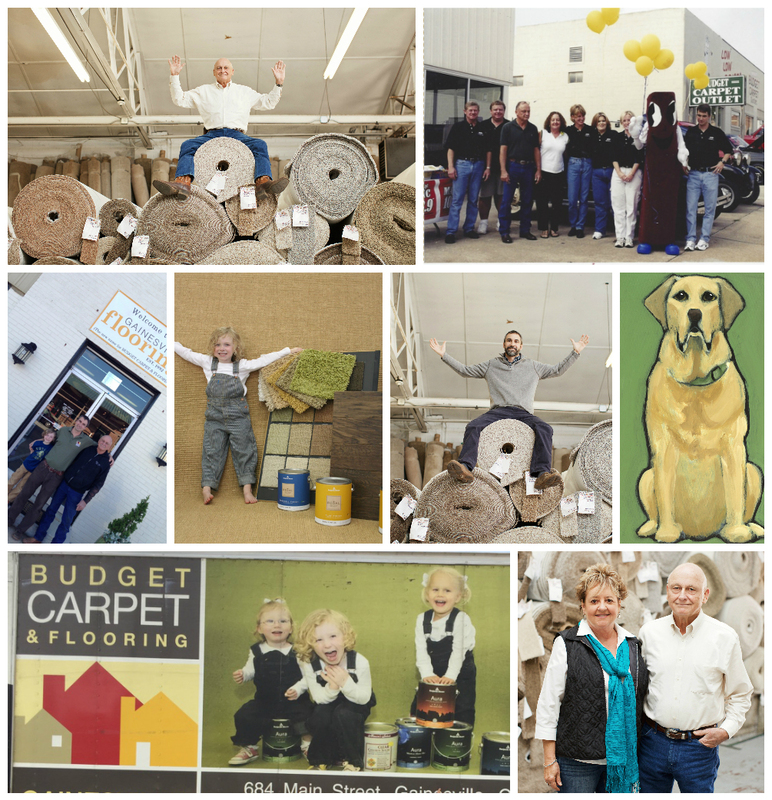 In 2014, it became clear that Budget Carpet was selling and installing a lot more than just carpet like its name implied so they changed the business name to Gainesville Flooring to better reflect the broad range of products they are now known for. Same location, same owners... just a new name. Jack’s grandchildren, Hudson, Josie and Harper, can be seen at the store, in ads and on the box truck. Hudson is already a color expert and Harper can be found hiding in displays, so we’ll see what the next generation brings to Gainesville Flooring. This April, he has another granddaughter joining the next generation of Gainesville Flooring.